The Israeli water company Jihon said on Friday that 80,000 Palestinians in East Jerusalem have been without water for more than three days. The Israeli company said that it would like to supply water for all consumers in Jerusalem, including Jewish and Arab citizens, but the water infrastructure in the Arab areas is decaying. It also said that the increasing number of inhabitants contributes to the problem. Meanwhile, the Arab inhabitants at the Palestinian refugee camps of Su’fat, RasKhamis and Ras Shihadeh, as well as Al-Salam Suburb, said they have been suffering from a complete water shortage for several days. The residents said in a statement issued on Saturday that tens of thousands of Palestinian refugees and citizens in the three residential gatherings in Jerusalem have been without water since the beginning of last week. According to the statement the Palestinians said that they did not know the reason why the water supply stopped. He reiterated that there has been no water in Ras Khamis and Al-Salam Suburb for a long time either. Al-Khaldi blamed the UNRWA, which is responsible for the Palestinian refugees, for the water problem. He called for it to immediately move to solve the problem. here we see a swapping of roles: Those who just a few years ago brandished the Inter-American Democratic Charter to demand severe sanctions against the de facto government in Honduras are now saying that even mentioning a crisis that has already led to the deaths of a large number of people constitutes interference; while those who denounced (and still denounce) the steps we took when faced with an obvious coup d’état as an attack on a nation’s sovereignty –I’m referring again to Honduras-, now demand that we help them overthrow a government recently chosen in a democratic election. Today, it is undeniable that there is a profound political crisis, characterized above all by a split and confrontation between most political and social actors into irreconcilable bands. When the opposition mobilizes, it does so on a massive scale, and poses strong demands; when the Government’s supporters take to the streets, their numbers and the fervor of their demands are also huge. This is reminiscent of Insulza’s approach to the coup in Honduras in 2009, when he effectively raised up a repressive regime that destroyed democracy with a military coup to the same legitimacy as the elected government. Insulza’s characterization of the OAS role in responding to the Honduran coup is also misleading. In fact, the OAS did little to try to restore democracy to Honduras, and Insulza apparently did not speak out when the U.S. ultimately blocked a measure that would have required the ousted president Manuel Zelaya to be returned to office before new elections were to be held, even though this was a solution supported by most OAS members. Both sides are an indispensable part of a country that needs all its people as it forges its future. Seeking to “win” this battle is a sure path to a decades-long national split between the vanquished and the conquerors. History is replete with examples of when division and confrontation destroyed democracy and ushered in long bouts of dictatorship. That is what happened in my country and thousands died. Those familiar with the history of Chile know that political polarization was not the main problem, but rather that the right wing was by led by fascists who did not respect democratic government and were willing to institute a violent dictatorship that killed, disappeared, tortured and imprisoned tens of thousands of people. (It is also relevant that the U.S. government fueled much of the unrest as well as economic sabotage after then-U.S. president Richard Nixon vowed to “make the economy scream.”) It is of course good to avoid unnecessary political polarization and pursue dialogue as a general principle. But Chile’s infamous military coup and dictatorship were not a result of a conflict between two opposing forces representing equally just claims; it was rich against poor, people who did not respect democratic elections versus those who did, people allied with an aggressive foreign power versus those who believed in national sovereignty. This also raises very serious questions about Insulza’s idea of democracy. The U.N. mission was deployed to Haiti following the 2004 U.S.-backed coup d’etat against the democratically-elected government of Jean-Bertrand Aristide, who also had faced a violent opposition (for years) with whom the international community repeatedly urged him to “negotiate;” while at the same time we now know that U.S. funders of the opposition were telling them not to reach any agreement, that Aristide would be overthrown. The U.N. has occupied Haiti almost ever since, while the most popular political party, Fanmi Lavalas has been arbitrarily excluded from elections and many of its leaders and members hunted down and killed, and others imprisoned on bogus charges. Considering this background, and the disproportionate influence wielded by the U.S. at the OAS, it should be of little surprise that Venezuela would seek to have UNASUR take up the Venezuelan political situation, rather than the OAS, which it appears UNASUR might, next week. what appears to be a pattern of security personnel using excessive force. We are also concerned with increasingly stringent tactics being employed by the government in an effort to restrict the rights of Venezuelan citizens to peaceful protest. However, violence in recent days has almost exclusively impacted those opposed to the protests or the barricades, which make getting around certain neighborhoods difficult. If there is a “pattern” of “excessive force” and “increasingly stringent tactics” by the government, it is unclear what these are, considering that the road blockades continue, even after nine people have been killed either trying to get through, or remove, the barricades, and considering that National Guard officers are getting killed. It is hard to imagine such a situation taking place in the United States, with small groups of protesters blockading streets, not for hours, and not even for days, but for weeks, and those attempting to remove the barricades being attacked and sometimes even shot and killed. The Occupy protests just a few years ago were usually violently repressed, and these were mostly in parks and other green spaces – not blocking off streets in major cities. These were actually peaceful demonstrations. Nor was the police repression of the Occupy protests met with calls for intervention by the OAS, even after Iraq war veteran Scott Olsen was almost killed after being shot in the head with a canister by police in Oakland, CA. The U.S. statement follows a pattern of official statements since Venezuela’s latest wave of protests began that heaps all blame for violence on the government while characterizing the protests only as peaceful (the nine people who have been killed while trying to pass through or remove barricades, or the pro-government demonstrators killed, are testament to a different reality). Insulza’s comments that “it is also essential that the principal party leaders and opposition leaders with the most backing are also parties to the dialogue” could be seen as criticism of Capriles’ refusal so far to speak with Maduro. As CEPR Co-Director Mark Weisbrot recently noted in Venezuela’s Últimas Noticias, by taking a radical posture and refusing to meet with Maduro despite having shook hands with Maduro just weeks before, Capriles has clearly sided with the more extreme elements of Venezuela’s opposition. According to reports by the Native Women’s Association of Canada (NWAC), there are roughly 600 known cases of missing and murdered Indigenous women in Canada, many of them unsolved. 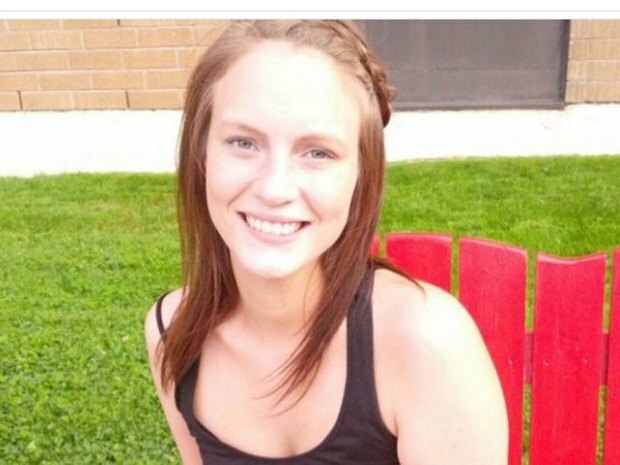 Loretta Saunders, an Inuit woman from Labrador whose family reported her missing on 13 February 2014, is one of the latest. The RCMP discovered her body along a New Brunswick highway on 26 February. That Saunders was in the middle of finishing her PhD in Halifax— on Canada’s missing and murdered Indigenous women—makes her death particularly harrowing, yet each of these women’s deaths is reprehensible. CPT attended the ninth Annual Strawberry Ceremony honoring missing and murdered Indigenous women on 14 February, when over 200 people gathered at the downtown Toronto police headquarters for a rally and march. Many individuals in the crowd held up signs bearing names, dates, and occasionally photos. Several dozen people carried black silhouette-style signs cut in the shape of women’s profiles, with names in white lettering on one side, and dates—usually preceded with the word “murdered”—on the other. Each of these sign bearers had lost someone to violence: a sister, a daughter, a grandmother. More than that, though, this ceremony was in honor of Indigenous women. Those marching were survivors of their individual griefs and losses, and the collective oppression and violence of a system set entirely against them. Author and activist Arundhati Roy has said, “There’s really no such thing as the ‘voiceless.’ There are only the deliberately silenced, or the preferably unheard.” In CPT, we often talk about “amplifying voices,” and when I give presentations I make sure to emphasize what this means: I am not seeking to speak for anyone. I am seeking to hold up a figurative microphone to those who are already speaking. It’s a thing I’m still figuring out, time after time. But Roy’s words are a guide. During the ceremony on 14 February, the women who spoke described how long it took them to “find their voices,” to share the stories of women in their lives who’d been taken by violence. One mother who raised her grandson from his infancy, said it took her over two decades from when her daughter was killed to when she could start speaking about it. It struck me that every single person there holding a sign or a banner was a person who could speak. The voiceless ones were the women whose names and dates were on those signs. Their daughters, and mothers, and sisters, and brothers and fathers and sons (because there were many men there too)—these relatives were all speaking for them. Such statements, at their root, only demonstrate a desire to dismiss and delegitimize Indigenous women’s voices. If the Harper administration was earnest in its professed concern for Canada’s missing and murdered Indigenous women, it would not turn calls for a national inquiry into partisan finger-pointing, but initiate real, measurable action to end this tragedy now. 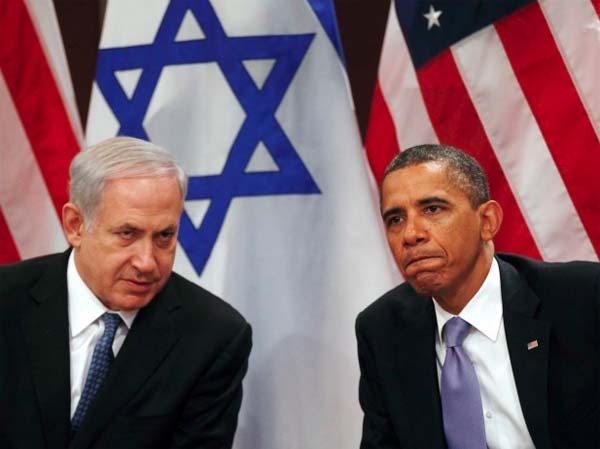 Israeli Prime Minister Benjamin Netanyahu said that he did not commit to freezing settlement construction during his meeting with US President Barack Obama and that he will reject any agreement with the Palestinians that does not meet Israel’s security needs. Israel Radio quoted Netanyahu on Friday, on his way back to Israel, telling Israeli journalists that he considered extending the negotiating period between the Israelis and Palestinians in US Secretary of State John Kerry’s framework agreement unlikely to make a difference for the Israeli coalition government, as most of its members reject the idea of establishing a Palestinian state. Netanyahu refused the possibility of unilateral withdrawal from the West Bank territories if the negotiations fail, stating that he does not prefer this possibility and that “the unilateral withdrawals (from south Lebanon and the Gaza Strip) have not justified themselves nor did they provide security stability for Israel”. Netanyahu returned to Israel today following his visit to the US which started on Sunday in which he met with Obama in the White House and gave a speech to the American Israel Public Affairs Committee (AIPAC) on Tuesday. Palestinian President Mahmoud Abbas announced, while receiving a delegation from the Israeli left-wing party Meretz a few days ago, that he is not opposed to extending the negotiations period, but demands that settlement construction is suspended and prisoners are released. Israeli Foreign Minister Avigdor Lieberman refused to allow a delegation from the European Parliament to visit Palestinians jailed in Israeli prisons, a local newspaper reported Friday. Yedioth Ahronoth said the European delegation had hoped to evaluate the prisoners’ conditions. The paper reported that Elmar Brok, the Chairman of the Committee on Foreign Affairs in the European Parliament, had asked Israel’s ambassador to the EU to arrange a visit for the delegation. But Lieberman responded by saying Israel would only allow such a visit if the EU would let an Israeli delegation visit prisons in Europe. 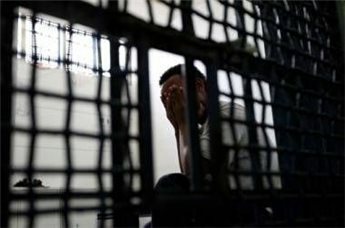 The report cited sources inside Israel’s foreign affairs ministry that the European request had been made in coordination Palestinian and international activists working to highlight the poor conditions inside Israeli prisons. The news came one day after Israel refused to allow Palestinian refugees from Syria to return to the Palestinians territories, according to Palestinian Authority official cited by Ma’an news agency. Fatah central committee member Mohammed Ishtayyeh told diplomats at a meeting organized by the Heinrich Böll Foundation – a group affiliated with Germany’s Green Party – that they have been trying to help Palestinians in Syria escape the three-year-long war, but Israeli officials have rejected their pleas. Around 1,500 Palestinian were killed during the Syria conflict, and 250,000 others have been forced to leave their homes, according to Ma’an. US Navy destroyer, the USS Truxtun, has crossed Turkey’s Bosphorus and entered the Black Sea. With the Crimea Peninsula getting ready to hold a referendum on independence from Ukraine in a week, the US is ramping up its military presence in the region. “We fully understand the fears that now prevail in the East [of Ukraine,” Peskov acknowledged. “There are no confirmed reports of threats to ethnic Russians,” Eric Rubin said, testifying before the House Foreign Affairs Committee. Mr Rubin is a Deputy Assistant Secretary of State in the Bureau of European and Eurasian Affairs. USS Truxton will reportedly stay in the Black Sea till mid-March. The Montreux Convention allows a warship of any non-Black Sea country to stay in the region for 21 days only.